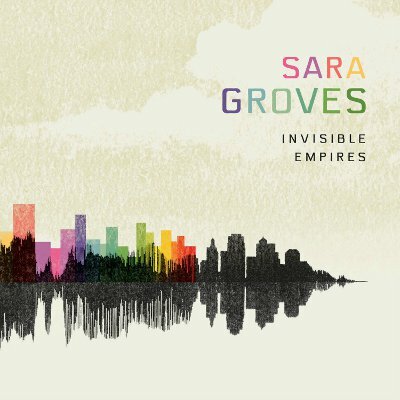 Sara Groves will release her new album 'Invisible Empires' on 18th October 2011. Produced by Steve Hindalong (Leeland, City On A Hill & Sixpence None The Richer) the eleven-song album is Groves decade-marker album and explores why society feels so fast-paced, is so social-media-obsessed and so "frenetic", as she describes it. 'Invisible Empires' follows Sara's 2009 album 'Fireflies and Songs'. "Fireflies is very much like a girl and her piano," says Groves of her previous album, "and I knew this record was going to be a little bit bigger than a girl and her piano. I like to write pop songs, I like to write bigger songs. I like strings and guitars, so I guess when I went to go write this record I didn't feel like this was going to be Fireflies Part II." "We believe every person has a next step with God. Whether you're an atheist or the ninety-nine-year-old woman who's served God all of her life, I'm writing music about those processes, those moments to pause and ask, 'Where am I on the road, and where would God have me go next?'" Sara Groves will embark on the 'Reason To Gather' tour throughout October and November 2011. On the US tour she will be accompanied by this year's GMA Dove Award 'Female Vocalist' and 'Best New Artist' Nominee Audrey Assad and new indie singer/songwriter duo Jenny & Tyler.